Christina is a CVT in the state of Massachusetts. She has special interests in Veterinary Anesthesia and Dentistry. She resides in Amesbury, MA with her dogs, cats and rabbits. In January 2017 Christina completed the Fear Free Certification Program and is recognized as a Fear Free Certified Professional. The Fear Free initiative is a program that is designed to reduce the levels of fear, anxiety and stress that our patients experience in conjunction with a veterinary visit. 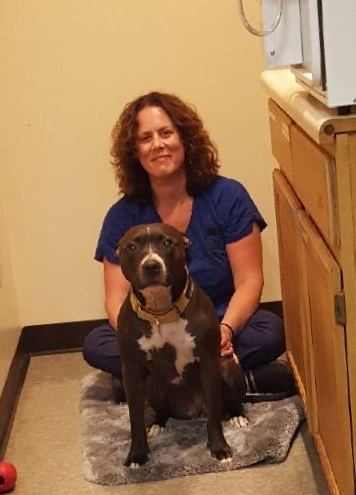 Christina serves as a Fear Free Team Leader to train our technicians and other paraprofessional staff in the protocols that result in Fear Free veterinary visits for your beloved pet. Colleen has worked as a Veterinary Technician at Putnam Veterinary Clinic since 2004. She is a graduate of Essex Agricultural and Technical Institute, where she obtained her Associate degree in their Veterinary Technician Program. She likes working with all kinds of animals and enjoys the variety of pets she gets to see on a daily basis at the clinic. Colleen now owns an adorable 1-year old Shih Tzu named Raini. Danielle has been with Putnam Veterinary Clinic since 2007. She started as a receptionist and is now the lead Veterinary Technician. In May of 2016 she graduated from North Shore Community College with an Associates Degree in Veterinary Science. In August of 2016 she obtained her certification as a veterinary technician. Danielle enjoys country concerts, photography, and traveling up North. She has an 11 year old German Shepherd named Nadia, that she rescued 7 years ago. Danielle has an interest in pain management and physical therapy. Leslie joined our front desk staff in December of 2011 after a long career in the Hospitality & Inn Keeping industry. Leslie was raised in Manchester, Ma. and had a variety of farm animals as well as companion animals throughout her life. She resides in Gloucester with her husband Ken, their son Jonathan, dogs Karma & Scupper. 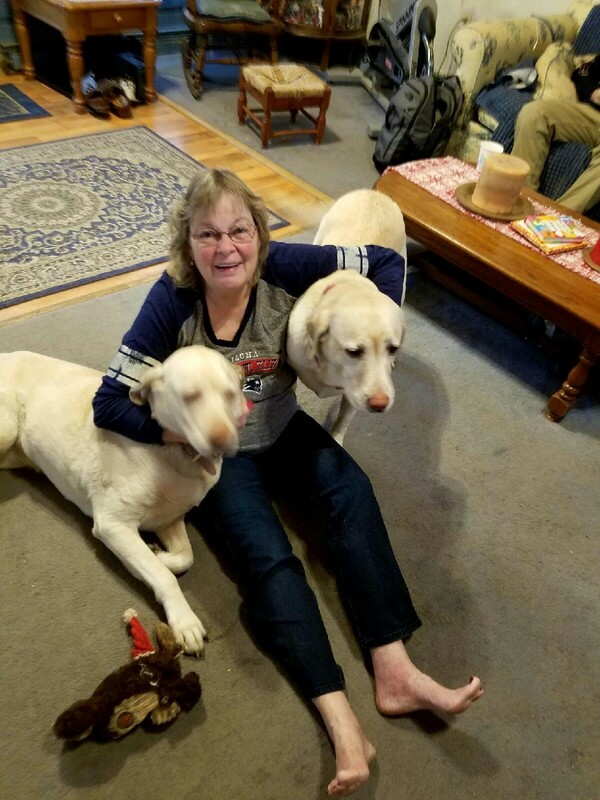 In her spare time Leslie loves exploring the woods of Cape Ann with family, friends and canine companions and fresh water fly fishing in the White Mountains Region of New Hampshire. 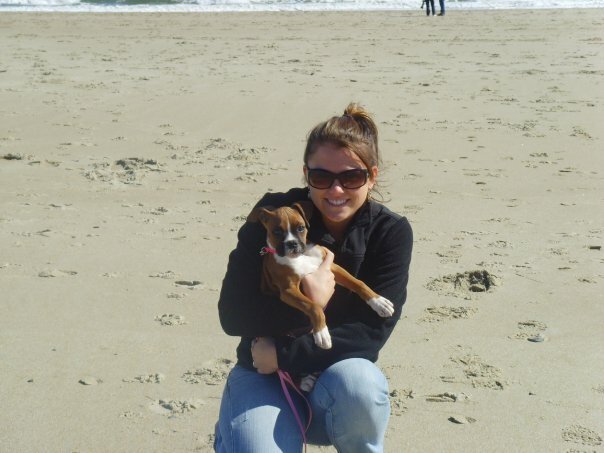 Jamie joined Putnam Veterinary Clinic in September 2009 as a receptionist. She was soon promoted to lead receptionist. She has since been promoted to Executive Assistant. In her free time she loves spending time with family and friends. She enjoys being outside hiking or even doing yard work. She has 2 dogs athome, a female boxer and a male black Lab. Jamie also has a beautiful 4 year old daughter named Kylie who keeps her busy! Molly graduated from the University of New England in 2013 with a bachelor's degree in Marine Biology. In addition to her internships working with marine mammals in Maine and Alaska, Molly interned at an animal hospital during her time at UNE which sparked her interest in veterinary medicine. Molly is currently in the veterinary technology program at North Shore Community College to become a Certified Veterinary Technician. 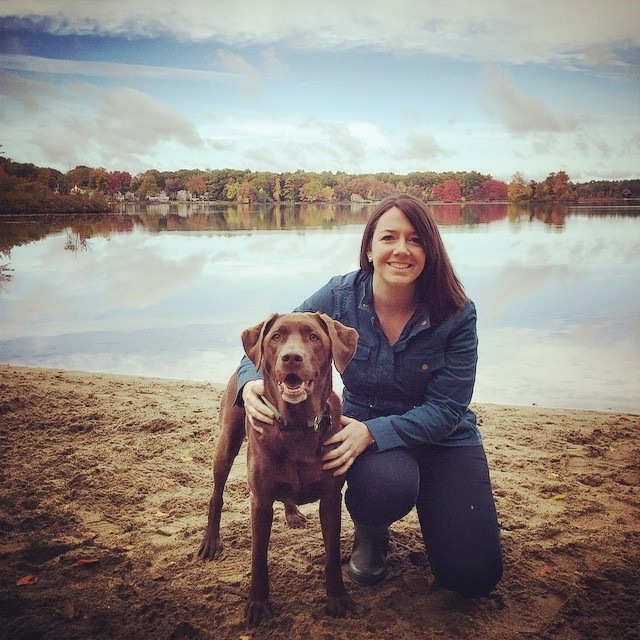 Molly's hobbies include spending time with her best friend, her chocolate lab Maddie, hiking and exploring beaches in her hometown of Beverly and around Cape Ann. Molly enjoys collecting seaglass, visiting Maine, and baking at home with Maddie and her cat Baby Kitty. In August 2017 Molly completed the Fear Free Certification Program and is recognized as a Fear Free Certified Professional. The Fear Free initiative is a program that is designed to reduce the levels of fear, anxiety and stress that our patients experience in conjunction with a veterinary visit. 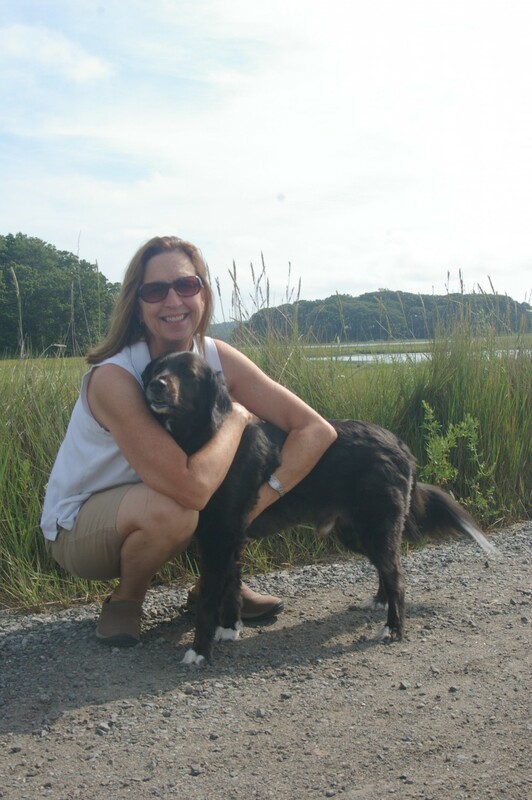 Lynne is a part-time receptionist at Putnam Veterinary Clinic. She returned to the clinic after a brief retirement. She is a grandmother of six and has two cats, Marley and Richie, and two yellow labs, Izzy and Hailey. When not working, Lynne can be found camping with her husband in New Hampshire. Zan joined the Putnam staff in the summer of 2016. She graduated from the University of New Hampshire with an Associate degree in Veterinary Technology in May 2016. In November 2016, Zan became a Certified Veterinary Technician (CVT). She has a Pitbull mix, Holly, and in her free time she enjoys spending time with her family and friends. 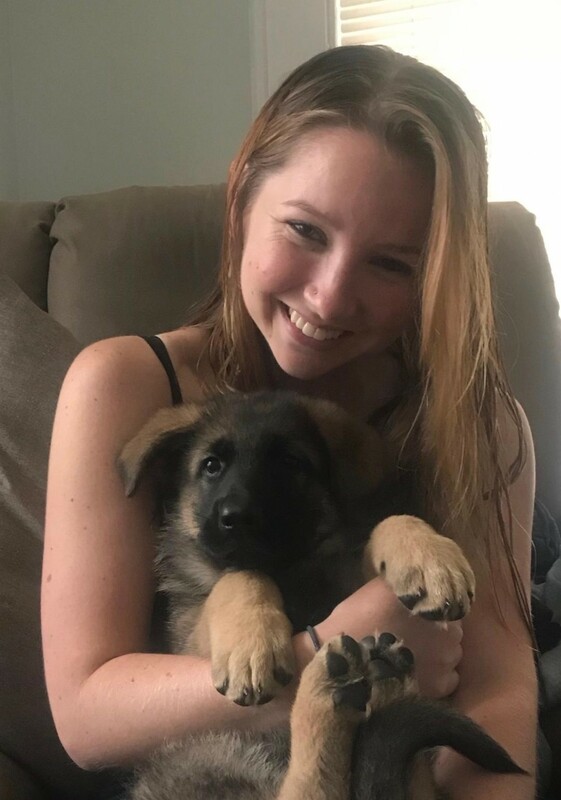 In August of 2018 Zan welcomed a German Shepherd puppy named Echo into her home. Dianna came to us in May 2016 as a full time receptionist. She was a CNA for 25+ years. She was raised in Marblehead MA but now is a resident of New Hampshire with her daughters Alison and Ashley. She has two dogs Ladybug and Jill and two cats Dottie and Simba. In her free time she goes horseback riding with Ashley and likes to go on long walks in the woods with her family and her 2 canine companions.